Are you a selective invoice finance company that can finance this prospect? 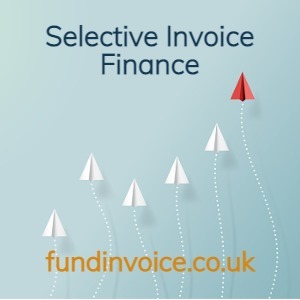 We have been contacted by a prospective selective invoice finance client, but we are having difficulty finding an invoice finance company that will help them. If you think you may be able to provide funding to them, please get in touch or call: Sean on: 03330 113622. £9K of invoices to fund at present. Prime mover is a western european citizen, recently moved to the UK, but not a homeowner. We can provide all the details if you are able to consider offering on the basis of the 3 points mentioned above.